Although rather brief, here are J. 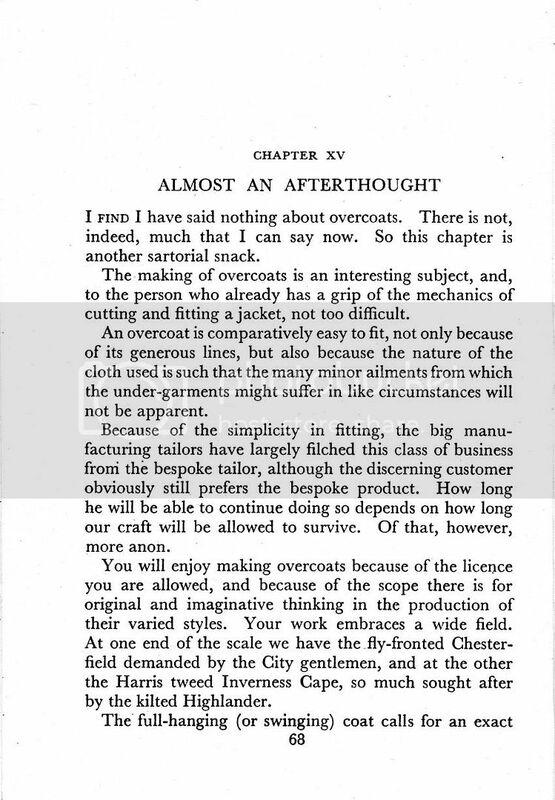 King Wilson's thoughts on the subject of cutting and fitting overcoats. 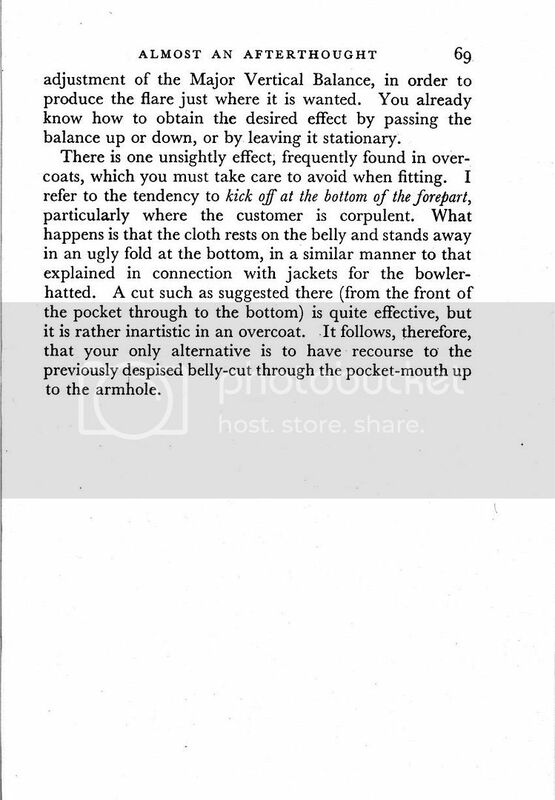 It comes from his book The Art of Cutting and Fitting published by The Tailor & Cutter, 1950.